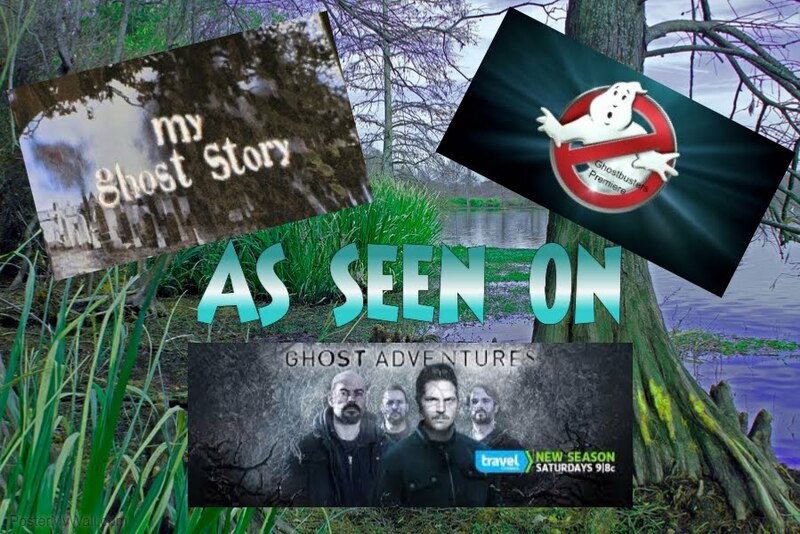 Becky Vickers(BECKS) - Everyday Ghost Hunters/Goatman's Bridge Ghost Tours: THE SOLDIER AND THE NUN- A GHOSTLY LOVE STORY THAT HAUNTS A PENNSYLVANIA CATHOLIC SCHOOL. THIS IS NOT YOUR TYPICAL LOVE STORY!!!! THE SOLDIER AND THE NUN- A GHOSTLY LOVE STORY THAT HAUNTS A PENNSYLVANIA CATHOLIC SCHOOL. THIS IS NOT YOUR TYPICAL LOVE STORY!!!! To me, Valentine's Day isn't just for lovers....it's a day for LOVE. Love of friends, family, pets, and it can be hard for some people that are alone that has lost loved ones. Listen, you are NOT ALONE! Your loved ones are all around you, wither you see them or not. Here's what YOU on a day like today....do something that was your deceased loved ones FAVORITE thing to do. Make a favorite dish, watch their favorite movie, maybe even have a quiet cup of coffee and "reflect" about all the times that person made you smile. Guess what???? That is what your loved ones want you to do today. Being happy sometimes is hard on Valentines if you have lost someone dear to your heart....but "smiling" in their HONOR isn't hard at all!!!!!!! So here is a ghostly story about lost loves. It is from the book Haunted Love by Chris Gonsalves. It's not your "typical" love story and that's why I wanted to share it with you. It has a BIG twist in this love story!!! And yes, you can actually visit this haunted place in real life. Rose was at the top of her sophomore class at Mercyhurst College, a Catholic girls' boarding school in Erie, Pennsylvania. There Rose was right at home. To her is was a little bit of heaven on earth. Those feelings lately had her considering entering the school's convent, where she could chart a life on course to becoming a Sister of Mercy. Sister Rose. A nun. The life of quiet, contemplative solitude and service was increasingly appealing to her. One night at a local barn dance, Rose was standing alone when a boy in a hand-me-down suit walked up and asked Rose to dance. Nervously, she accepted thinking he looked so gentle....and smart. He said "My name is Tom". "I'm Rose" she said as Tom put his arm around her waist to guide her to the dance floor. Rose was a bit sad when the evening was over, as she really liked Tom and wanted to see him again. A few days later, one of the dorm supervisors came to her room and told her she had a visitor. "Is it Tom?" Rose asked the messenger. "I didn't ask", the woman replied. "It's a frightfully skinny boy with messy brown hair". Rose's smile widened. "It's Tom". Rose found Tom waiting for her downstairs, flower in hand. He'd brought them, he said, because his brothers told him that's what a boy should do if he felt a girl was particularly special. "Is that how you feel?" Rose asked. "Oh, yes! Yes I do!" Tom replied. From that moment on, the two were inseparable. 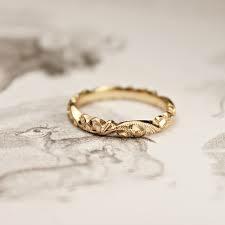 Wasn't long before Tom presented Rose with a simple gold ring, a symbol of their engagement. It was early winter 1941. Their families began to plan a wedding for the spring of 1942, a wedding that would never take place. In December 1941, the global war reached a thunderous crescendo in the skies of Pearl Harbor in Hawaii. Suddenly the United States was pulled into World War II and across the nation young men were drafted to fight the war on several fronts. Tom knew he had to go and serve his nation. His brothers were all going, as were nearly all of his friends. "Let's marry before you leave," Rose said. "Rose, we have no money, and beside there's no time," Tom replied. "We don't need much," she said. "We'll have a simple wedding, just you and me. Please Tom". He held her close, her face cupped gently in his hands. "Rose, I love you. Nothing in the world is going to keep us from being married and living the rest of our lives together. But I want to do it right. You deserve the best there is. And I want our children someday to know their dad did the right thing for his country when duty called. Let's wait, my love. When I return we'll have a wedding like you've only dreamed of." Rose uneasily conceded. Tom was assigned to the army infantry. Within weeks he was shipped out to fight the Nazis in Europe. He wrote home regularly, telling Rose about the horrors of war and professing his ever deepening love for her. Rose found the letters heartbreaking. The thought of the kind, gentle boy she knew being hardened into manhood by war and violence both sickened and saddened her. But with her abundant faith she resolved to keep the love he relied on burning strong. She prayed for him almost constantly. One week before the spring day they had originally set for their wedding, Rose got the news that Tom had been killed in action, along with his entire squad. Their bodies were never recovered. As if she had been physically kicked, Rose doubled over and fell to the floor in the kitchen of the simple farmhouse where Tom's family had already begun mourning his loss. The life she knew, and the life she had dreamed of were over. In the months that followed, Rose found comfort in the Queens chapel at Mercyhurst. She spent long hours there in the shadowy, deep-blue room, lighting candles to Tom's memory and praying for guidance. Finally, she decided that she knew what she was to do with her life. 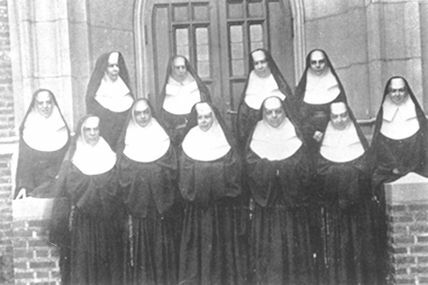 Without a second thought, Rose stopped mourning her fiancé and joined the Sisters of Mercy. She would never love another man, she decided. She would become a nun after all. After Rose's final vows she went alone into the chapel to pray. Symbolic of her transition from Tom's fiancée to bride of Christ, she took off her engagement ring for the first time since it had been given to her years before. She placed it on the tiny fingers of the Christ child statue and left it there. She had no more use for it. One afternoon in 1945, Rose was on her way back from lunch when the mother superior stopped Rose and told her she had a visitor. This must be very important, perhaps the bishop is here, but what would he want with her. It was very unusual for the mother superior to announce an arrival of a visitor. Rose sat in the pew and waited. Almost immediately she recognized the figure. It was Tom! In his uniform and still painfully thin. He ran to her and tried to embrace her. Her years of chastity in the habit forced her to keep him at arm's length. "Rose, it's me Tom!" Tom said. "I know. I'm so happy to see you. But what.....why....? They said you were dead." "Dead. Yes, I know. I'm so sorry, Rose. I'm so sorry so many people were hurt, but most of all you." Tom tried to explain the unexscplainable. He escaped an ambush and hide behind enemy lines for more than a month. "Why didn't they tell us then, Tom?" Rose whispered. The days and pain of hose day and months came rushing back at her. "Why couldn't they just say they made a mistake and you were alive?" Rose asked as she started to cry. "It's because of what we did in that month we were missing, if the army had ever let on that any of us had lived, a great many men might have died." Tom said. Tom spent the rest of the afternoon telling Rose how they'd lived as fugitives behind German lines. Rose took Tom's hand and said "you took an Oath for your county but I took an Oath of my own." She pointed to the little statue where on the child hand hung her little gold band. Tom started to cry. He knew that the love he had dreamed of and longed for would never be. A few days after Tom returned, his family and Rose's family joined forces to ty and convince the young nun to leave the convent and return to a normal life as a wife to the man who loved her so deeply. She told them she would pray about the matter but in the end, it would be His decision. There would be no easy answer. The more Rose sequestered herself in the dark chapel, the more conflicted she became. She prayed and wept before the statue of the Christ child, but all she felt in return was that she was being pulled apart by two great forces bent on destroying her. What had she done wrong? Why was she being tortured for following a pure heart from tragic love los to a life of godly service? With what seemed like nothing but a life of conflict and sadness ahead of her, Rose fell into a deep depression. A short time later she did the only thing she could think of to ease the pain. In her tiny, sparsely appointed room directly above the Queen chapel in Mercyhurst, Sister Rose tied a blanket to a ceiling light fixture and hanged herself. News of her suicide rocked the Sisters of Mercy and the college at large. 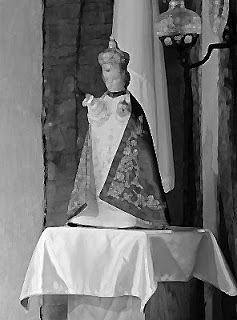 It didn't take long before reports began of apparitions of the young nun all around the campus, especially around the college tower and in the Queens chapel and nearby Christ the King cathedral. Witnesses saw her wandering students' rooms, often reflected in mirrors or passing like a misty vapor through the dormitory halls. Sister Rose's ghost remains mostly benign until a female student crossed path with it in a violent way. Lori was a senior in 1954. She was in love with a boy at the nearby college of Erie. The two had been dating for nearly four years. Lori thought this had been long enough and her boyfriend needed to "step up". She decided a little practical joke was in order. She called her boyfriend and asked he met her on a Wednesday evening at the Mercyhurst campus. She told him she "had a very urgent matter that needed to be discussed." Lori snuck down to the dark chapel and grabbed Rose's engagement ring off the statue's tiny figure. As soon as she had it in her hand a blast of cold wind shot through the chapel, extinguishing the candles and leaving her in pitch blackness. She gasped and the sound echoed around the cavernous room. Lori immediately found her way to the door and ran out! Lori's plan was simple. She was going to wear the ring and pretend she'd been asked by another boy to be his bride. As she sat there looking a the little gold band she was overcome with sadness. She knew the story of Rose and Tom and thought that maybe Rose would like being a part of bringing to loves together. She couldn't have been MORE WRONG! One of Lori's friends spots Lori and hysterically tells Lori that the police is looking for her! "Oh my gosh" did they think she stole the ring? Did someone tell them she took it. Surely she could explain why she had the ring. Her friend say, "No Lori. It has nothing to do with the ring! It's your boyfriend. He was coming here to meet you when a truck crossed in from of him and hit his car. They said he's dead, Lori. I'm so sorry." Lori immediately ran back in the chapel and placed the ring back on the small finger of the statue. She cried all through the night and her friends found her the next morning exhausted saying "the ring did it, the ring killed him." After a half of dozen attempts to keep the ring under lock and key, in which it kept showing up back on the child statue of Christ, administrators decide that burying it might better serve all involved. Not to mention that every time they would lock up the ring, the paranormal activity would increase. 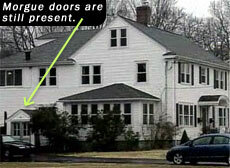 The location of the ring's final interment has never been made public. Sister Rose continues to haunt the Catholic school, appearing more frequently to young men and women in love. 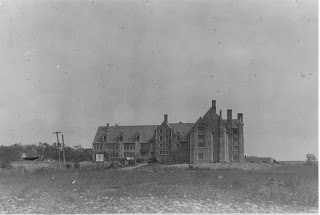 Countless paranormal investigations have examined the college and the convent, some saying definitely haunted with evidence of photos and videos. Because of all the interest, Mercyhurst officials now have started locking the chapel and the Old Main tower at 10PM perhaps to keep the curious out, or perhaps to keep the lovesick in.